The case of Daniel Avilés Alemán, is emblematic of many things which are going wrong with policing and the justice system in El Salvador. Daniel is a 22 year old youth who was arrested on January 10 and accused of possession of drugs with intention to distribute. He had been living with his mother and helping in the bakery that she runs. Prior to his arrest, he was a young man with dreams of being a chef and was taking cooking classes. Daniel was on a soccer field in the community of AltaVista when anti-gang police arrived and detained and searched thirty young men. 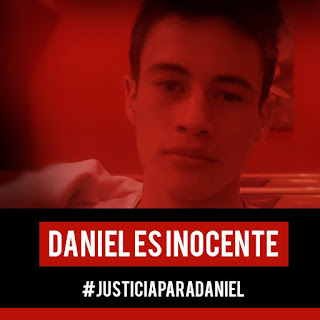 AltaVista is in one of the urban municipalities which surrounds El Salvador and has a serious gang problem The police let all the detained youth but Daniel go. They carted him off to the local police post. They allegedly found marijuana and cash on Daniel. But the versions reported by the police did not match what witnesses had seen. The police had the time wrong. They had the location wrong. And no one saw a search finding drugs with Daniel. 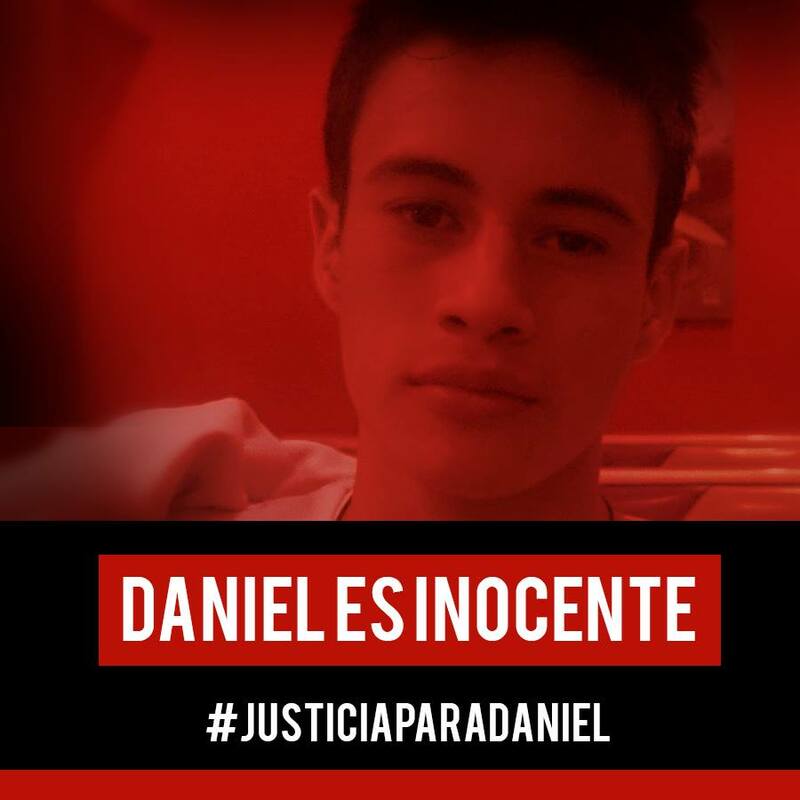 Daniel's family, especialy his sister the jounalist Tatiana Alemán, began a campaign in the press and in social media to pressure authorities to release Daniel. After an investigation, El Salvador's Human Rights Advocate (PDDH) reported that the arrest had irregularities, including the police misreporting the time and location of the arrest, and that the police had planted the bag of marijuana on the youth. The police officers who arrested Daniel have now been charged with fraud in their arrest of Daniel and are being held without bond. Yet Daniel is still being held for allegedly having gang ties and connections to extortion, something which his family and those who know him are vigorously denying. On May 3, Daniel was supposed to have a hearing on his lawyer's motion to dismiss the charges against him. The prosecutors from the attorney general's office did not show up, however. They sent a fax to the judge to say that the attorney general's office had scheduled too many things that day and they lacked transportation to get any of their attorneys to the hearing. Daniel's hearing was rescheduled for May 16, and he continues to sit in a jail until then. Today is Mother's Day in El Salvador. It is also the four month anniversary of Daniel's arrest. His mother spoke to an online periodical about her pain on this day to be without her son who she says has been kidnapped by the Salvadoran state. In El Salvador 2017, arbitrary arrests are nothing uncommon. Planted evidence is not uncommon. The judicial system does not produce justice. Youth, whose only crime is to live in a zone where gang activity occurs, languish in overcrowded jails. Daniel is actually one of the lucky ones. He has advocates and the press has taken up his cause. For so many anonymous others, justice is simply arbitrary and haphazard.